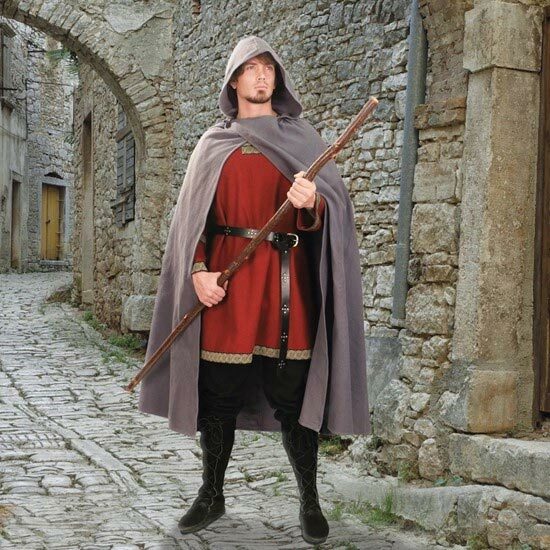 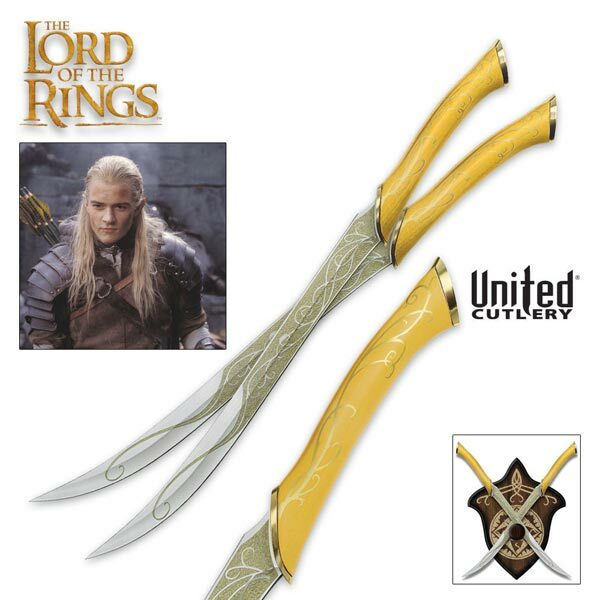 Orcrist Sword Scabbards made by United Cutlery. 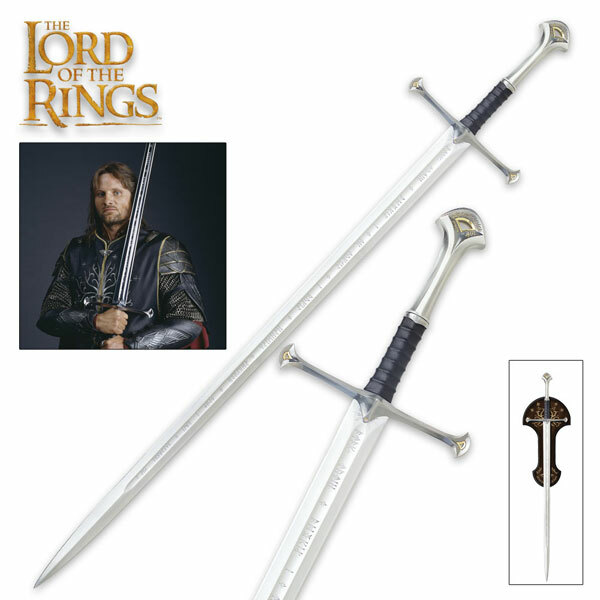 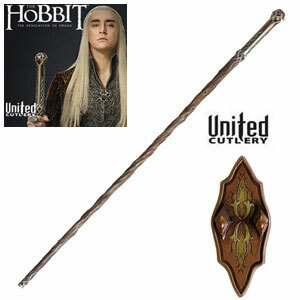 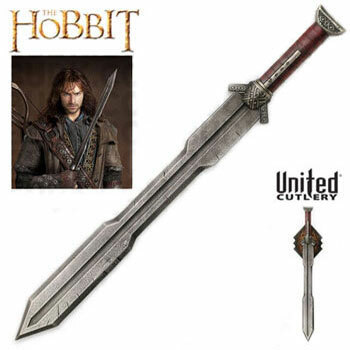 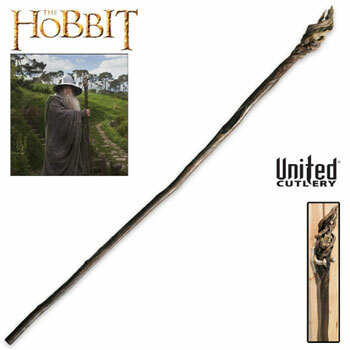 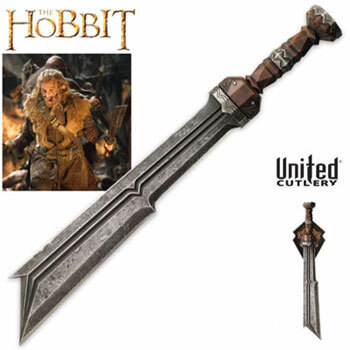 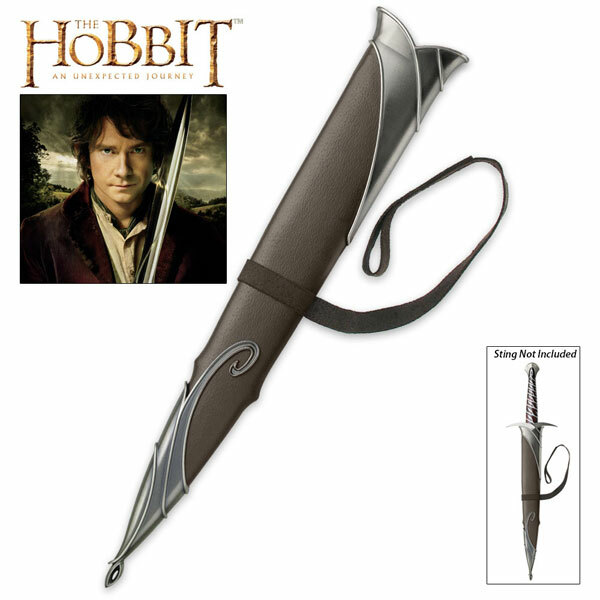 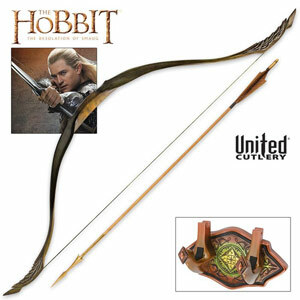 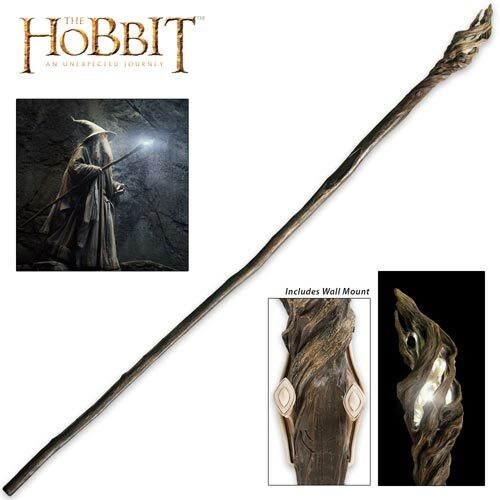 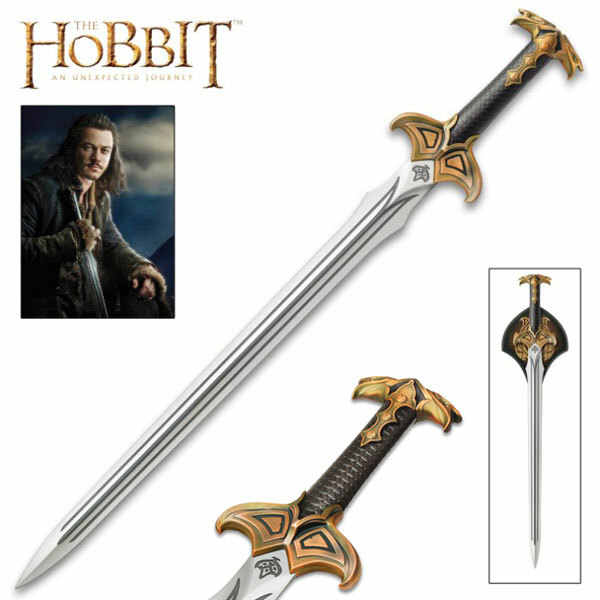 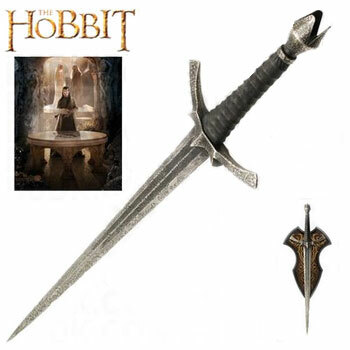 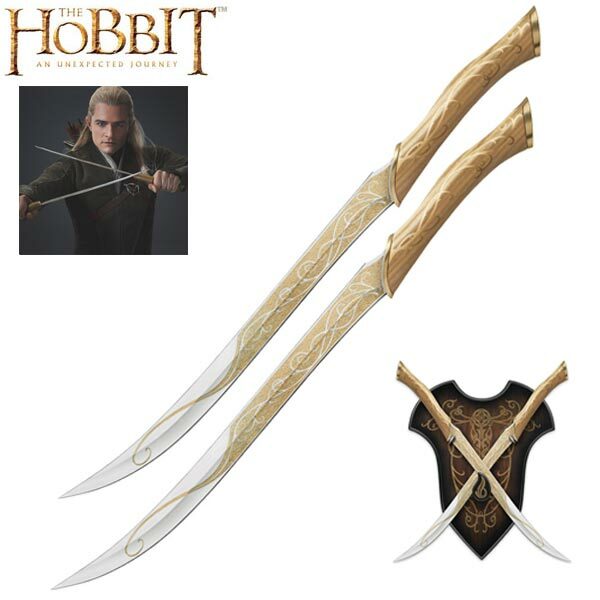 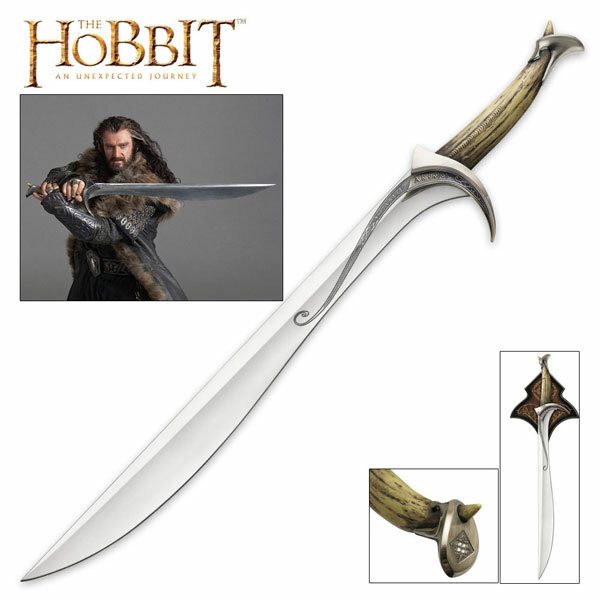 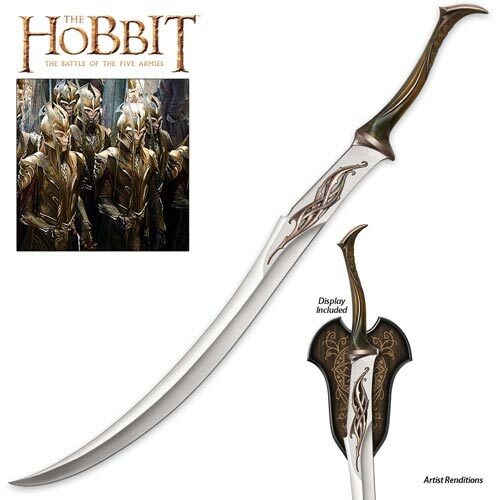 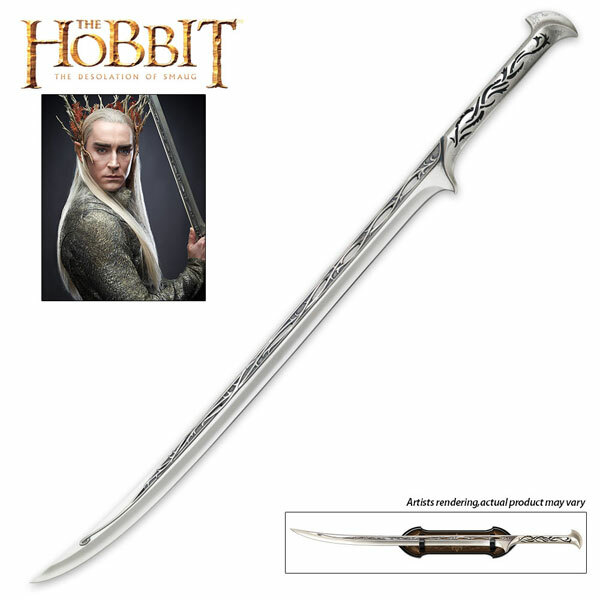 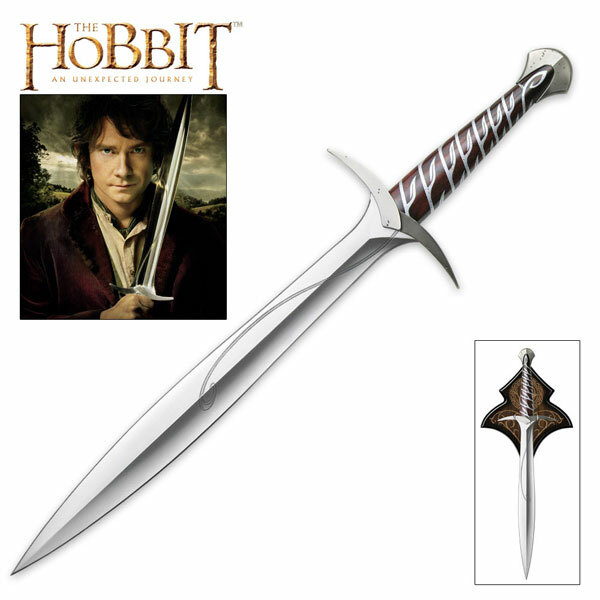 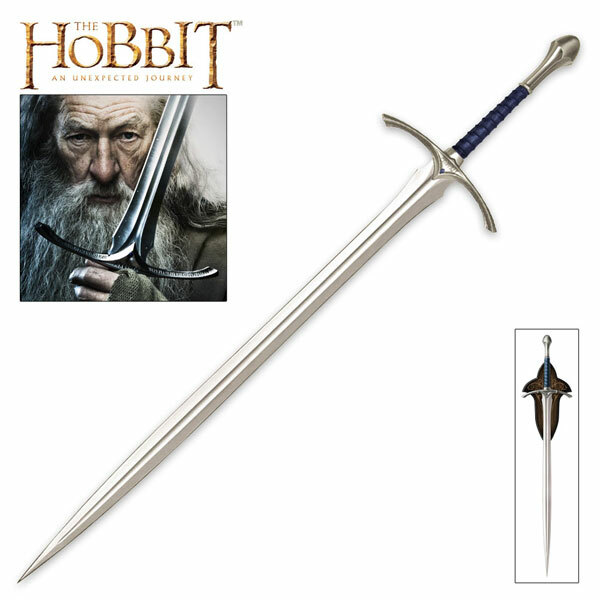 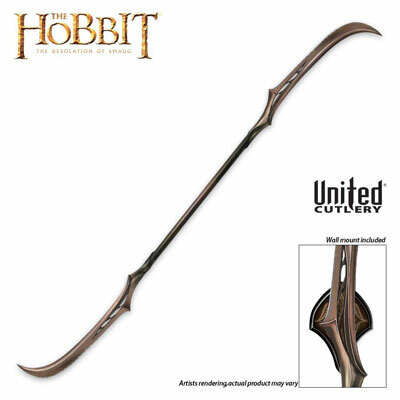 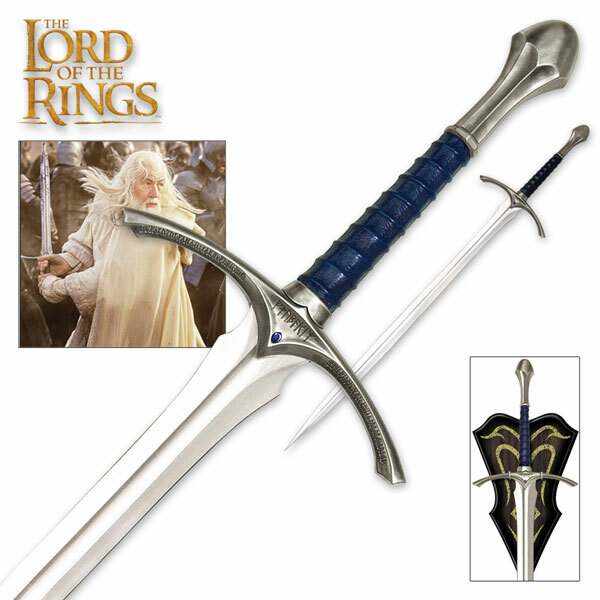 This authentically detailed scabbard collectible is an detailed replica of the actual filming prop from The Hobbit movie. 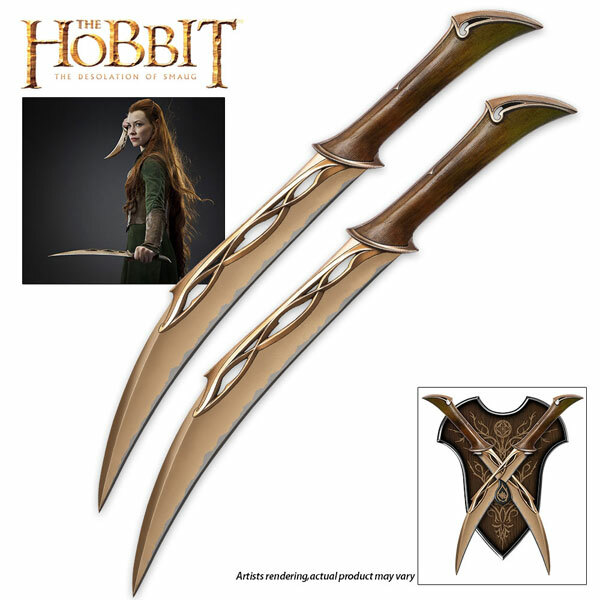 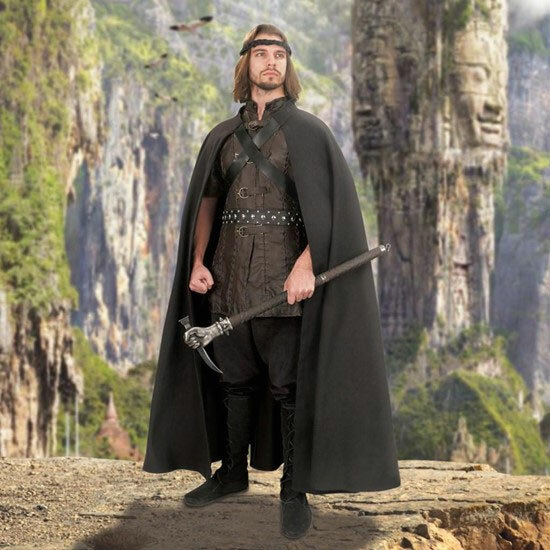 The Orcrist Scabbard is crafted in poly resin with a metal and wood grain patterned finish, Elven vine and leaf motifs, a built-in belt loop, felt-lined interior and engraved runic inscriptions. 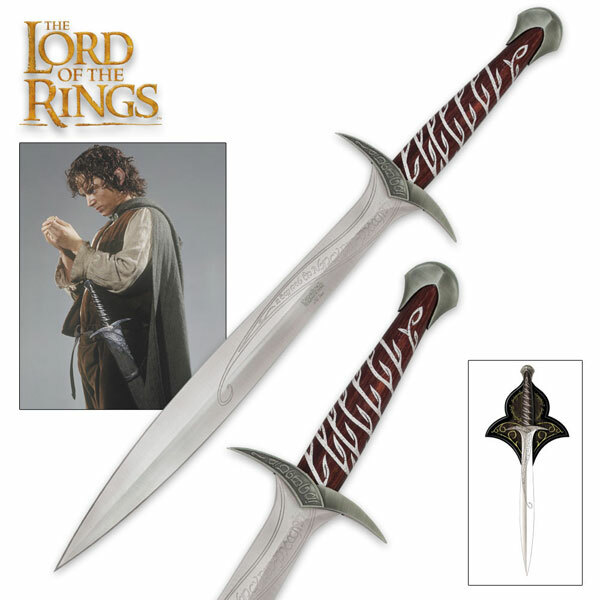 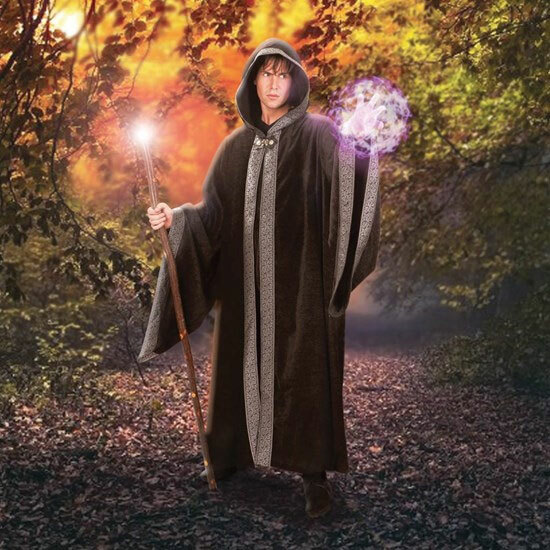 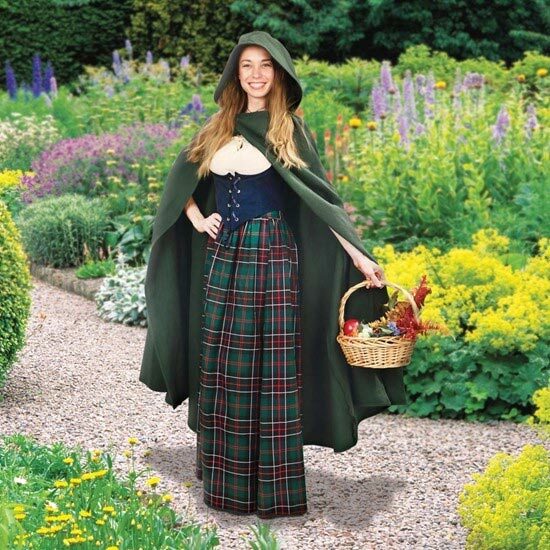 Includes a certificate of authenticity for $139.99. 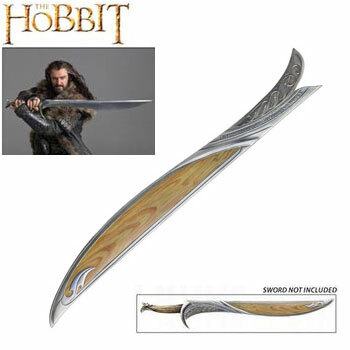 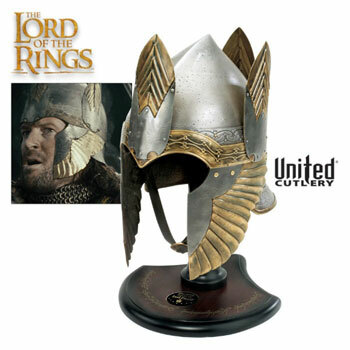 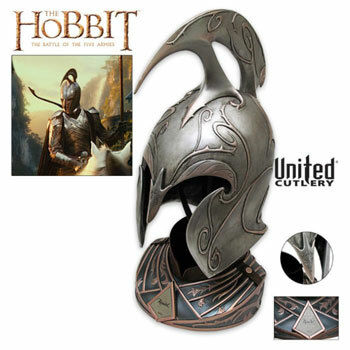 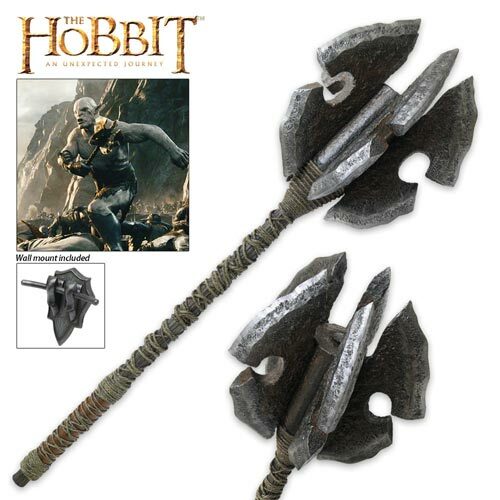 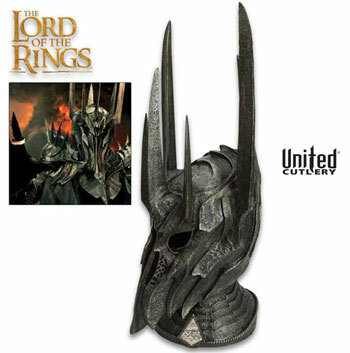 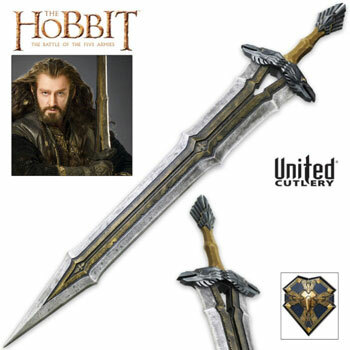 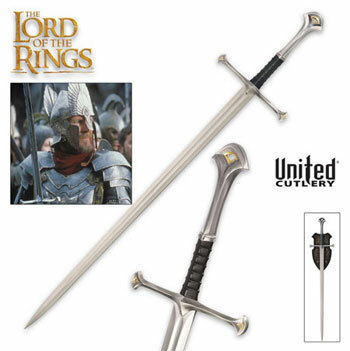 Fits the official Orcrist Sword item #UC2928.